It’s now a year and a half since I introduced Andrew Porter and his PhD project that we are sponsoring at Northumbria University. 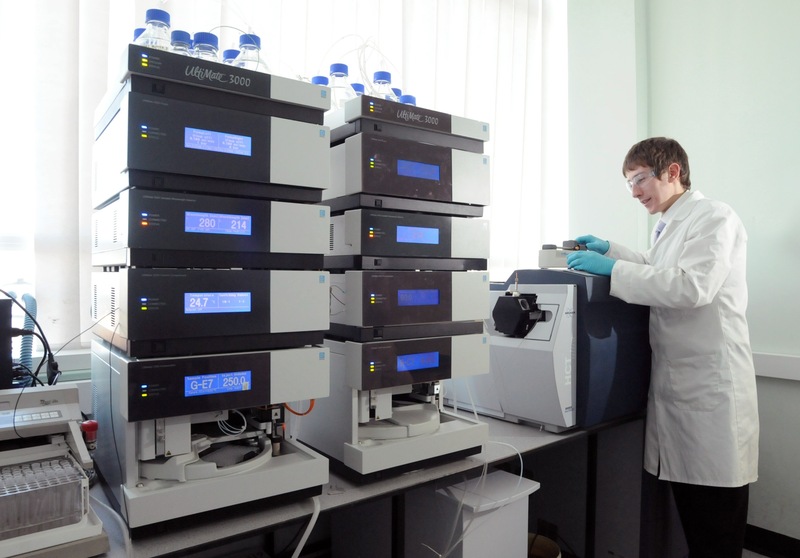 Looking back, one of the biggest challenges we faced at the start was optimising the LC-MS system for label-free, quantitative analysis of complex mixtures. The results of our efforts have now been turned into an application note. In it, we discuss how to get the best detection and quantification of parent peptide ions for a quantify-then-identify approach, and why this is important. I hope that by sharing it we can help others struggling with the same challenges, so they can learn from our mistakes! 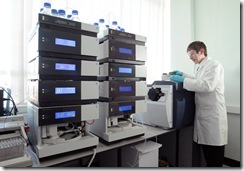 Until the project started, the LC-MS system was used exclusively to identify simple mixtures. Often, these were single, over-expressed recombinant proteins that were relatively easy to identify. Consequently, the first thing we chose to do was benchmark performance for what we needed. As I revealed last year, our first efforts did not go well! But using Progenesis LC-MS, and in particular its ion intensity maps, we could see where the issues lay in terms of LC separation, peptide ion quantification and protein identification. Comparing detection of features in MS spectra between Ultra scan mode vs. Standard (Enhanced) scan mode. 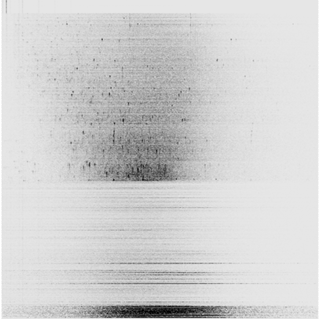 (A) Ion intensity map of peptide elution over a whole LC-MS run in each mode with relative ion intensity represented by the grey scale. (B) Zoomed in view of the same high abundance peptide ion quantified in each mode. (C) Zoomed in view of the same low abundance peptide ion quantified in each mode. 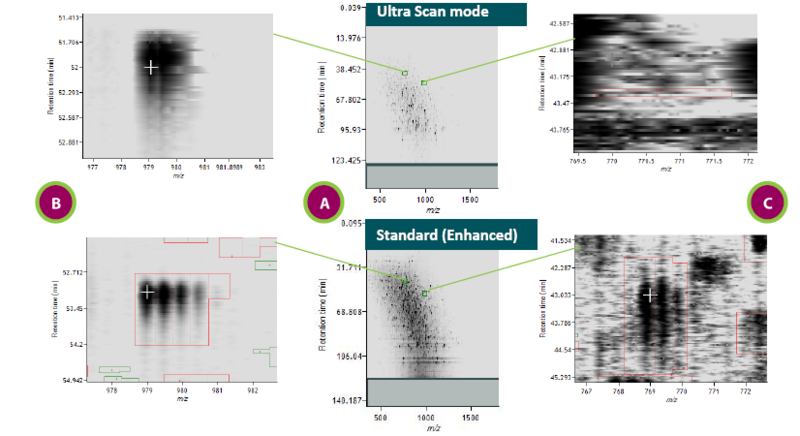 In this case, the slower scan rate of Standard (Enhanced) mode resolved more features in MS spectra and allowed a greater number of fragmentation ion data to be correctly associated with these features. This improved the number of peptides we could use to confidently quantify and identify proteins of interest. One thing that wasn’t covered by the application note, but that’s of interest for anyone doing LC-MS for proteomics, was how ion intensity maps were used to reveal carry-over between runs and spray instability within runs. By observing the frequency of blockages, Andrew has developed a routine maintenance protocol to eliminate the inconvenient blockages and avoid carry-over between experiments. If you’re working with a low-resolution ion trap, I hope you find the application note useful. And, of course, I look forward to any comments from your own experience of optimising LC-MS for label-free quantification. This entry was written by Paddy Lavery, posted on February 21, 2011 at 10:40 am, filed under February 2011 and tagged Progenesis LC-MS. Bookmark the permalink. Follow any comments here with the RSS feed for this post. Post a comment or leave a trackback: Trackback URL.